598 COLOURlovers viewed this page and think siriangel is The One. congrats!!!!!!!!!!!!! to many many more! 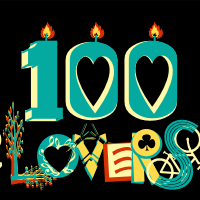 I'm glad to be one of your 100 :D.
Credit must be given to siriangel & Mandolinly.